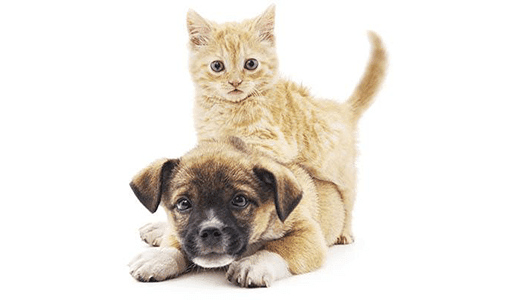 At Hidden Valley Animal Hospital & Boarding, an expert staff of veterinarian doctors and a skilled team of technicians are here to do just that. Under the directorship of our highly skilled veterinary doctors, your pet is always in good hands. We're ready when your pet needs us. Dr. Szabo grew up in Detroit, MI and attended Michigan State University. Pets have always been a major part of his life and he knew at the young age of 12 that he wanted to become a veterinarian. Having joined Hidden Valley Animal Hospital in August of 2003, Dr. Szabo enjoys helping patients and clients lead healthy, happy lives. Dr. Szabo is a member of the AVMA (American Veterinary Medical Association) and NCVMA (North Carolina Veterinary Medical Association). When not working, Dr. Szabo enjoys playing golf, working on his model railroad, watching sports (especially hockey) and spending time with his wife, Dr. Margaret Pepe, his two dogs and two cats. One pet patient, Mickey Auld, stands out to Dr. Szabo because he was diagnosed with kidney failure at the age of 17. He made a miraculous recovery and had an excellent quality of life for 2.5 more years until he passed away at the age of 20. Cases like this are reminders of the difference Dr. Szabo and his team can make in the lives of others. 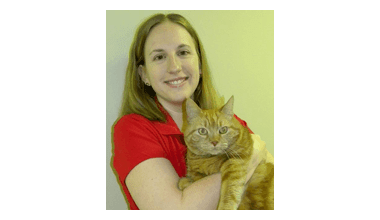 Dr. Meredith Berry joined the Hidden Valley Animal Hospital team in 2000 as an assistant and went on to become a DVM at Quail Corners before returning to Hidden Valley in January 2010. She grew up on a farm near Elizabeth City, NC and attended NC State for her undergrad and veterinary school. Go Wolfpack! She owns two cats, a dog and five fish. She enjoys seeing the human-animal bond first-hand as a doctor and is dedicated to keeping each of the furry friends she sees healthy with preventive care, treating their illnesses when needed, and offering them the longest and fullest life possible. Dr. Berry is a member of AVMA (American Veterinary Medical Association) and NCVMA (North Carolina Veterinary Medical Association). Dr. Berry and her husband, Brian, met when they were both veterinary assistants working at Hidden Valley and together have 2 boys, Evan and Shane. Her most memorable medical case was when she conducted a C-Section on a white boxer that had 13 puppies. Both the mom and pups did very well. In her spare time, Dr. Berry enjoys reading, traveling, spending time with her boys and supporting NC State’s football and basketball teams. Dr. Valenzisi grew up in Hazleton, PA and attended NCSU for veterinary school. 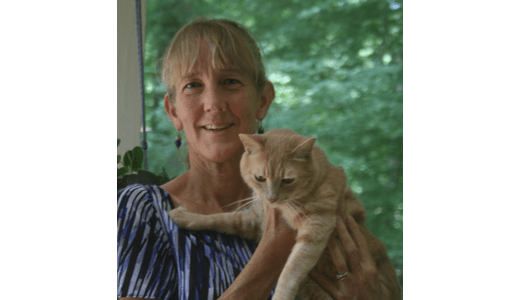 Having joined Hidden Valley Animal Hospital in 2008, she especially enjoys working with geriatric cats. 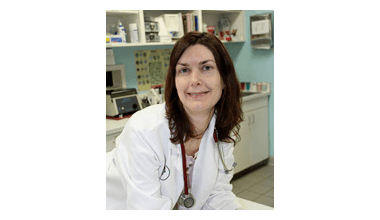 Dr. Valenzisi decided to become a veterinarian in 1999 after completing her graduate degree in Plant Physiology. As a life-long animal owner, she decided to pursue her dreams of becoming a veterinarian which allows her to combine an interest in science with helping animals. 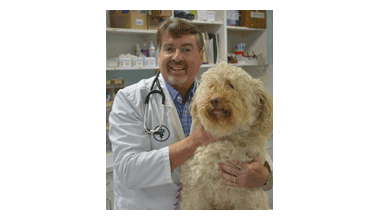 Dr. Valenzisi is a member of the NCVMA (North Carolina Veterinary Medical Association), AVMA (American Veterinary Medical Association), and VECCS (Veterinary Emergency and Critical Care Society). Dr. Valenzisi and her husband, Matt, have a six month-old son, Giovanni, and two cats. In her free time, she enjoys spending time with her husband and son, playing with her two cats and reading fiction (mysteries, science fiction fantasy). One of the most memorable cases for Dr. Valenzisi has been diagnosing her first GDV (gastric dilation and volvulus), a life-threatening twisting of the stomach that requires immediate surgery. During surgery, she found that the dog also had a foreign body in the stomach and was able to remove it. Despite being 10 years old, the dog did very well after surgery and had an additional procedure to prevent the stomach from twisting again. Dr. Rita Sabadish joined the Hidden Valley Animal Hospital team in January 2016. She grew up on Air Force bases in Utah, Alaska, and North Carolina. She attended N.C. State for her undergraduate and veterinary degrees. She has 2 dogs, a spaniel mix named Boca and chocolate lab mix named Turkish, 3 cats named Eli, Fiona, and Polaris, a Malaysian gecko and an array of freshwater fish. Dr. Sabadish is a member of AVMA (American Veterinary Medical Association) and NCVMA (North Carolina Veterinary Medical Association). She and her boyfriend, Ross, met when they were both veterinary assistants. Her most memorable medical case was a Pomeranian who had a severe gastrointestinal disease resulting in life threatening loss of protein. After treatment with multiple medications and instituting a few chronic therapies, he has gone on to do very well. Her hobbies include tending to any of four planted freshwater aquariums, flower gardening, long walks with the dogs and DIY projects around the house. Dr. MacCormac loves being a veterinarian because she enjoys interacting with the clients and keeping their pets happy and healthy. Dr. MacCormac is passionate about companion animal medicine with an emphasis on felines. Dr. MacCormac received her veterinary degree from the University of Pennsylvania Veterinary School. Upon graduating, she practiced in Maryland and then Virginia before moving to North Carolina 10 years ago. She comes to Hidden Valley after serving with the Christian Veterinary Mission in Accra, Ghana as a visiting scholar and clinical tutor with the University of Ghana School Of Veterinary Medicine. While there, she enjoyed working with students to educate them about animal care and encouraging clients to form a stronger human-animal bond. When Dr. MacCormac isn’t treating her patients, she can be found swimming, gardening, or reading. She resides with her husband, daughter and 3 cats. The mischievous calico cat traveled with her from Ghana to the US!